Mi Fan Festival Day 2: It is the day 2 of Xiaomi's exclusive Mi Fan Festival 2019. The 3-day long sale, which began on April 4, provides you with special offers on a series of Mi products, including Mi smartphones, Mi TVs, Mi power banks, Mi earphones and Mi Speakers among others. There are four different sections carrying offers of the sale. It is the day 2 of Xiaomi’s exclusive Mi Fan Festival 2019. The 3-day long sale, which began on April 4, provides you with special offers on a series of Mi products, including Mi smartphones, Mi TVs, Mi power banks, Mi earphones and Mi Speakers among others. There are four different sections carrying offers of the sale. Under Mi Picks, the Mi users and buyers were availed with an offer to buy a Redmi Note 7 Pro in just Rs 13,999 while a Redmi Note 7 in just Rs 9,999. However, the offer was available for a limited period of time. The section which has gathered most of the attention is Rs 1 Flash sale. Under Mi’s Rs 1 Flash sale today, Mi Home Security Camera Basic 1080p, white variant, and POCO F1, 6GB+64GB variant, will be available at just Rs 1. As the sale is a flash sale the stock will be limited, thus the interested buyers are suggested to stay at the edge of their seats. The flash sale will commence at 2:00 pm. Then there is a mystery box section, which is currently out of stock and Fun And Furious under which you can play games and win prizes after scanning your Mi QR code. Other special offers on smartphones include Redmi 6 which is available at Rs 6,999, Redmi Note 6 Pro at Rs 10,999, Redmi 6 Pro at Rs 7,999 and Redmi 6A ar Rs 5,999 among others. 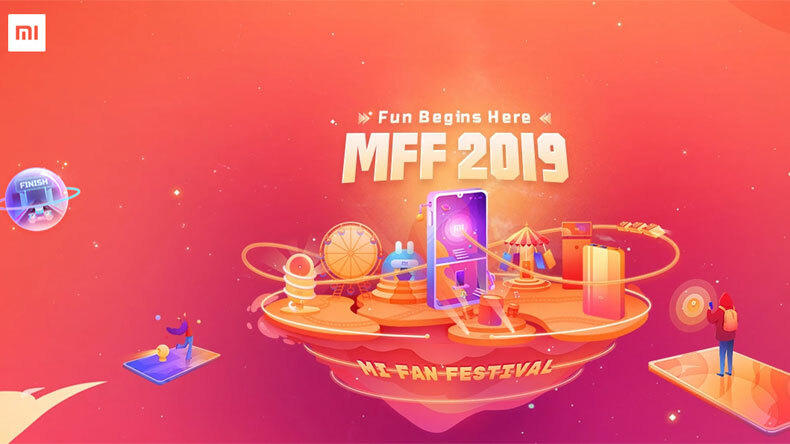 For Mi Fan Festival, Xiaomi has partnered with HDFC as those who will make a payment with the HDFC debit/credit card will get a 5% instant discount up to Rs 500, the only term here is that teh minimum transaction value has to be Rs 5,998. Users paying with Mi Pay Mi.com can also try their luck to win coupons that can be redeemed on Mi.com or Mi Store mobile application Mi Store for prizes. Winners will be chosen by random draw of lots. The contest is also among the highlights of the 3-day Mi Sale.